Located on the shore of the Northumberland Strait, this small cottage community is centered around a year old lighthouse, perched on a coastal point in the province of Nova Scotia. 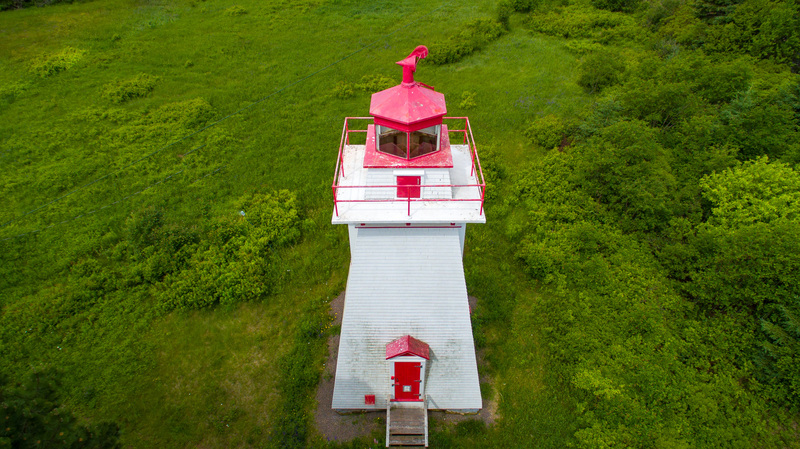 Now inactive, the lighthouse operated for approximately 110 years and was maintained by the Canadian Coast Guard. The land around the lighthouse, originally owned by a local farmer, was divided up and sold as cottage properties in the 1960's. A small, locally owned organic farm (Good Thyme Farm) still exists today. The lighthouse was first put into operation in 1890. It is 36 feet tall, and its beam had a focal plane of 18m (59 feet) above sea level. In the later years, the maintenance program under the Canadian Coast Guard included periodic vists by a helicopter. The lighthouse was finally shut down around the turn of the century. In 2008, the Canadian Goverment created the Heritage Lighthouse Protection Act. Local residents formed the Coldspring Heritage Society, and took over stewardship of the lighthouse property in 2016. Many of the residents of Coldspring Head live and work in other communities throughout Nova Scotia and New Brunswick, while others live in countries all over the world. While many only stay during the summer months, there are currently 7 families that live here year round, including the owners of Good Thyme Farm. The Town of Amherst is 30 minutes away, but the Amherst Shore Country Store is just seconds down the road. The Amherst Shore Country Inn has excellent food and an amazing view. The Amherst Shore Provincial Park has quick access to the beach and a small trail network to hike through.